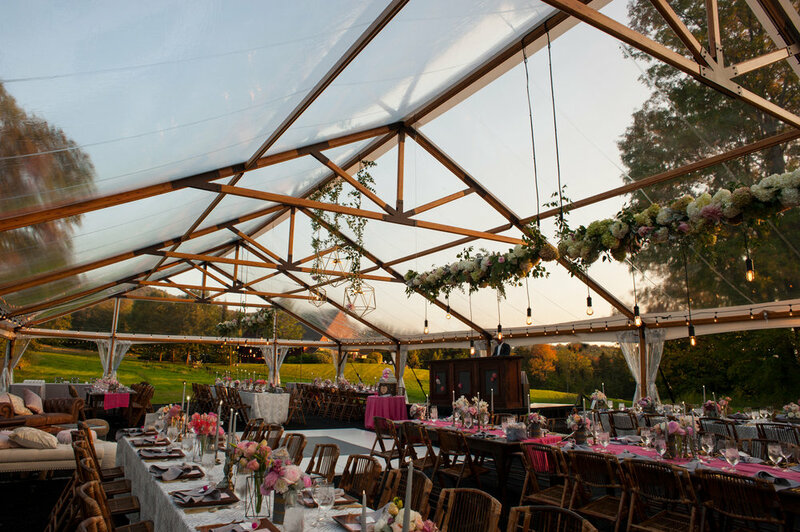 Clearspan tents are named because they are free of any cables or large bracing under the roof of the tent. The exception is the Timbertrac and its signature wood like rafters. 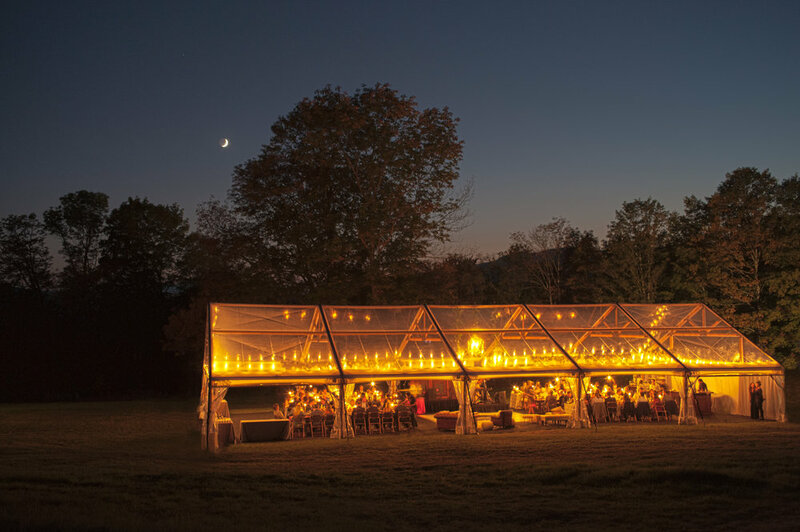 These tents have no interior cables or braces.